Neck problems are a modern epidemic, especially with office workers. When talking to people who work at computers, it is rare to find someone who has never had neck problems or some kind of neck pain symptoms. The busier and the more stressful the jobs, the more problems there seem to be. Neck pain causes are not always clear and neck pain diagnosis is not always easy. The neck muscles were made for work where they contract and then relax. This happens for instance when chopping wood. It is remarkable how well the neck supports this type of activity after prolonged practice. However, while working at a computer the neck muscles only have to support, in addition to the head and arms, maybe the weight of a sheet of paper. Despite this, neck muscle pain problems crop up. This is caused by prolonged tension of the neck muscles, which they do not handle well. The most common cause for neck pains is the so-called tension neck syndrome. Its symptoms are fatigue, stiffness, numbness, sometimes dizziness, and pain or ache in the neck muscles. Often there are simultaneously also tension headaches. The symptoms usually get worse at work, where the muscles remain contracted, especially if the work is stressful and deadline-oriented. Risk of neck pain may be higher if work requires neck to be held in one position for long periods of time like in driving or in computer work. Other risk factors and triggering factors may include changes in estrogen levels during a period or at menopause, stress or chronic overload at work or at home, too much or too little sleep and alcohol or drug abuse. Most muscles of the body relax totally when they are not used. Some muscles have to contract to some extent all the time to keep the body in needed position. Neck muscles must always be tensed, otherwise your head would fall forwards when you are sitting or standing. When we are worried or stressed we tighten these muscles even more, which can cause neck pain and tension headaches. Neck pain and stiffness may be caused by poor standing or sitting posture. If your work level is too low and your head is forward bent most of the time, the neck may be stretched and develop muscle pain. The desk should be at the level making it is possible to work without additional stretch or spasm of the neck muscles. At home the reason can be too soft a bed or the wrong thickness of pillow. Tension neck problems can often be diagnosed and treated after doctor´s examination and seldom are any special tests needed. Examination shows that the cervical spine is mobile, but that the neck muscles are sore. An x-ray, CT scan or MRI usually show only a straightening of the cervical spine that is due to increased muscle tension. MRI scans are usually only carried out if your doctor suspects a nerve is being pinched. Self -help is often enough to ease tension neck pains in a few days. It is possible to take over the counter painkillers available from chemists or supermarkets. Anti-pain gels may be rubbed directly into tender areas. Some over the counter liniments or oils have a warming and relaxing effect. Gentle home massage of the neck muscles often helps. Stress can make neck pain worse. It is usually helpful to learn how to relax the neck muscles. Relaxation and exercises are both needed at the right time. They complement each other. First aid consists of anti-inflammatory medication, and the problems usually are alleviated with heat treatment, massage, and relaxing physical therapy. Mild symptoms can be treated at home by exercising the neck and shoulder muscles and using cold or hot compresses. Neck pain relief usually can be found. If the symptoms are strong, exercising may worsen the pain. Neck pain exercises should not increase muscle tension in the acute phase. Strengthening the muscles and being in a good general condition are the most important long-term remedies, and these can be started after the acute pain subsides. If normal treatment is not helpful, a more thorough analysis is needed. Checking work posture and other ergonomic factors, levels of stress, condition of the muscles, hobbies and pillows used for sleeping on may be necessary. Using bifocals may cause repeated nodding movements, which can make the neck muscles sore. Take this up with your ophthalmologist. Often those who suffer from a tension neck are perfectionists by nature. It is hard to change one’s nature, but having a long-term self-care plan might be useful. If general nervousness is combined with neck tension, hypnosis or using biofeedback to help relax the muscles could be considered. These methods help observe how the muscles get tense and how that tension can be reduced. It is usually easy to adjust for instance the height and position of office desks and chairs. Those who have neck tension may have hobbies that cause neck stress. Knitting may be one of these problems, and while doing it one should take short breaks, have the elbows supported on a surface and reduce the number of hours spent knitting. Swimming using breaststroke while keeping one’s head above water is not a great idea for someone suffering from neck tension. It is advisable to swim with the face under water and to keep the neck straight and relaxed. Switching between swimming styles and using crawl and the backstroke would be good. Stretching the neck muscles after swimming is advisable. Neck pain and good night's sleep may be difficult to have at the same time. Check what kind of pillow you are using if you experience neck pain at night or in the morning. While sleeping on the stomach the cervical spine often locks in a position and may cause pain. Whatever position you sleep in, ideally the neck should be straight and supported. There are plenty of pillows that will help achieve this, although they don’t always correct the problem. During the night we shift positions many times, and thus do not remain in the ideal position. Over-the-counter anti-inflammatory drugs can be used as a self-treatment for a few days to treat neck problems. Over-the-counter ointments may be used for muscle pain. If the pain is new and strong, cold compresses may help. After a few days, heat treatment may alleviate the pain better. Light exercise such as stretching the neck and shoulders, moving the head forward and back and tensing and relaxing the neck muscles is helpful. Harder exercises should be avoided until the pain has subsided. Exercise with weights and other exercise that increases muscle strength and stamina can be beneficial. It is necessary to implement correct work postures at the office and at home to avoid chronic tension neck. Take several short breaks during the day, and do light neck and shoulder exercise during the breaks. Those who work with computers should make sure that there is space in front of the keyboard to rest the hands on and that the monitor is not positioned too highly. Sit facing the computer and support the lower back. Avoid long stretches of work without pause, as well as long drives without stops. While driving, hold the steering wheel at its lowest point and relax the shoulders. Check periodically while working to see whether the muscles are tense and relax them. If you have a tendency to push the head forward, check and correct your position several times a day. When you have neck pain, you should choose your pillows carefully. The main idea is to keep your neck straight while sleeping. This is not easy if you sleep in different positions, sometimes on your back, sometimes on your side, and sometimes on your stomach. Pillow should be high when you sleep on your side to keep your neck in a straight position. When sleeping on your back or stomach too high pillows should be avoided. Practice a sport where the muscles are tensed and relaxed to counter continuous muscle tension and take care of your general health. Adequate relaxation is a must. Aging brings on degenerative changes in the cervical spine such as lowering of the intervertebral discs and osteophytes. If there are enough of these to cause the constriction of the nerve outlets for the hands, this causes the so-called cervical spine syndrome. It is a very common cause of neck pains in the elderly. It causes pain in the neck area, especially when the cervical spine is moved. Connected symptoms may include dizziness, a pain that radiates to the arms and numbness that is at its worst at night. Examination may show a stiff neck, a limited range of motion and the cervical spine may feel painful to touch. Sometimes the examination succeeds in recreating the pains that radiate towards the arm. Diagnosis requires an x-ray, CT scan or MRI which will show degenerative changes and constriction of the nerve outlets. If the condition of the nerve structures needs to be mapped, a MRI is useful. The treatment includes traction or auto-traction of the cervical spine. Before the treatment, the muscles are relaxed with the help of heat treatment and massage. In very acute cases, cold compresses may be used as first aid. The traction can be done manually or mechanically. A neck brace may be used between treatments; it helps reduce motion in the cervical spine and thus reduces nerve irritation. If traction does not improve the condition, or they cannot be administered, electrical pain therapy or acupuncture could be tried. They sometimes bring very good treatment results with this problem as well as neck tension. When the pain is at its worst, it is advisable to keep the cervical spine close to the middle position. A soft collar can be used to help achieve this. Sometimes the cause behind the radiating pain may be a sciatica-type problem as the protruding intervertebral disc presses on the root of the nerve. Symptoms mirror those of the cervical spine syndrome; however, they may start suddenly, for instance overnight. When pressure is placed on a nerve in the neck, it usually causes burning pain in the neck and shoulder muscles and in the back of the head. The pain often shoots down the arm and there may also be weakness and tingling or numbness in an arm. In more serious situations there may be problems of bladder or bowel control. Even young people can have a herniated intervertebral disc. Diagnosis often requires a MRI or CT scan, and an EMG may be useful as well. In the case of a herniated intervertebral disc it is advisable to keep the cervical spine in the middle position, if necessary, with the help of a soft collar. Cervical traction may also be helpful. This should be done by an experienced physiotherapist. Surgery is sometimes necessary if improvement within a reasonable time is not seen, if the pain is insupportable or there is muscle weakness in the arms that do not improve. Spinal cord may be pressured by herniated cervical disc or by spinal stenosis - narrow spinal canal. Other causes for compression can be degeneration with cancer and hematomas or other additional masses. Cervical disc herniation with pressure of the spinal cord is not very common. In this situation there can be problems of bowel or bladder control along with neck pain and changes in arm sensation and strength. Car accidents often cause whiplash injuries, also called neck sprain or strain. It is an injury to the soft tissues of the neck. Usual mechanism of injury in the rear-end collision is first sudden backward movement and then sudden forward movement of the neck. It is possible that along with the muscles, also the ligaments between the cervical spine discs may get injured and cause disruption in the movement between the discs, which in its turn causes the pain. Most of these get better rapidly in a few weeks, but some may be problematic. Normal x-rays do not show these injuries, and some patients may feel that they are not believed. MRIs give better results, but unfortunately can’t always show any anatomical changes that might be the reason for the pain in whiplash injuries. Neural pathway and SEP-examinations may give some indication of the damage to the nerves if present. Symptoms after whiplash may include neck pain right after the injury or some days afterwards. It may radiate towards the arms and considerably limit the motion of the cervical spine. Also headache and dizziness may be present. There can be unusual sensations like tingling in the hands. Sometimes even minor movement of the cervical spine may cause strong pain and neck may be stiff. Sometimes chewing and swallowing can be difficult. Self-treatment includes starting normal use of the cervical spine quickly unless a doctor restricts it. A collar is not necessary to use in all cases. Over-the-counter pain medication and ointments may be used for muscle pain. If the first few days cold compresses may help. At later stages heat treatment may alleviate the pain better. Treatment stresses ample time for recovery and the need to start exercise and other treatments at the opportune time. Don’t postpone moving the cervical spine too long. The prognosis for these problems is usually good, but some patients may experience pain for long periods of time. If pain continues or gets worse after several weeks, a new consultation might be in order to see if additional imaging or other procedures are necessary. For instance local anesthetic injections, acupuncture or physical therapy may be used. Torticollis, wryneck or in other words twisted neck describes a situation where the neck suddenly or gradually gets twisted to one side. Sudden onset-form or acute torticollis usually improves quickly enough. Symptoms include pain and stiff neck. The neck muscles, mainly sternocleidomastoid muscle is in a cramp on one side and this causes twisting of the head. The reason is not clear; sometimes it can be explained by sleeping in unusual positions, minor neck traumas and similar causes. Self-treatment includes anti-inflammatory medication and careful stretching of the stiff muscles. Often the problem disappears in a few weeks without any treatment. If it does not improve, see a doctor. Treatment consists of physical therapy and in some cases manipulation of the vertebra. The so-called spastic torticollis is a complex problem. In addition to a twisted neck, it includes involuntary twitching and pain. Usually it starts gradually with mild symptoms of turning of the head with jerky movements. 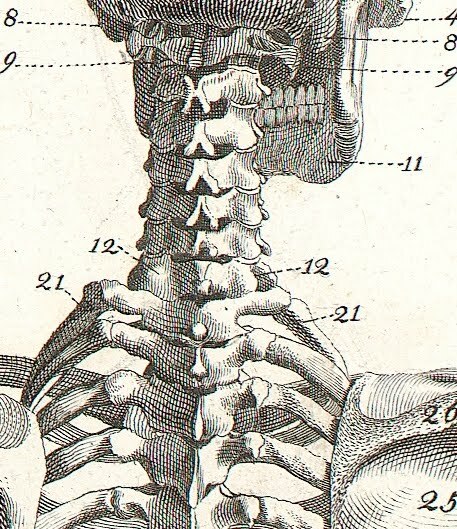 The head may also hold against will in a tilted position. Symptoms of twisted neck, pain, repetitive muscle contractions and tremor may get worse over time. They may be embarrassing especially when experienced in crowd situations. Later on the twisted position may become constant with only a limited possibility to turn the head to the other direction. Sometimes other conditions lead to spasmodic torticollis. This can happen with some cerebral injuries or tumors, vascular diseases or infections of the brain and toxins or drugs. If no other reason is present, wryneck is considered to be primary. The cause of this problematic illness is not known. Probably neurochemicals play some part. One theory posits that a functional disturbance between cerebral nuclei could play a role in its initiation. Unfortunately there are no optimal treatment methods. Medication, physical therapy, and hypnosis may be tried. Treating the muscles with botulinum toxin injections gives good results and relaxes the twitching muscle for a few months. Wryneck may be present at birth. In this situation there is usually no pain but the head gets turned to one side. The reason is not clear; it is thought to be caused by trauma before or during the time of the birth. Examination and treatment should be done by specialists. The thoracic outlet syndrome (TOS) is an illness where there is not enough space or some outer structure is pressing on the large blood vessels and nerves coming from the cervical spine as they go through the narrow space between the collarbone and upper ribs towards the hand, thus causing periodic or permanent irritation. Three types of TOS are described depending on which is the most involved structure. In most cases the nerves suffer most. This situation is called neurogenic TOS. In a few percents, there is clotting in the vein giving symptoms of venous TOS, usually swelling of the arm. The rarest form is arterial TOS due to disease of the artery with cold and pale hand plus pains. The contributing factors may be unusual muscle structure in the neck area, joint tracts, a trauma in this area, an extra cervical rib, an abnormal tight band or muscles of excessive size. Also long neck and fallen posture of the shoulders may increase the risk for this condition. The symptoms may include vague pains in the neck, shoulders, and arms, as well as fatigue and numbness or tingling of the pinky and ring fingers and the inner forearm. A weak grip may also be present. Symptoms are often experienced at night, when the arm is held up or when carrying something heavy. If it is accompanied by vascular problems, the arms may feel clumsy, weak and have changes in coloring, swelling or cold hands. Examination often shows a sore collarbone area. Different hand positions are artificially used to create pressure. If at that point the pulse in the hand changes or if a hissing noise is heard via the stethoscope as the pulse recedes, this points to TOS. The symptoms may easily be recreated by holding the upper arms horizontally and repeat making a fist with the hands for some time. If the doctor´s examination is not enough to confirm the diagnosis, x-ray, ultrasound, MRI, venography or arteriography, pulse volume recording, CT angiogram, nerve conduction velocity studies or electromyography may be needed. Treatment is physical therapy where the goal is to clear a path for the nerves and the veins. Correcting posture is important. Massage and stretching are used to relax the tight muscles. In most cases this is helpful. If the reason behind this symptom is a permanently tight tract or injury, surgery may be considered if physical therapy does not improve symptoms. A long time uncomfortable, forwards bended posture of the neck is a usual cause of neck pain in children. This may happen when sitting in a class, playing computer games, reading or sleeping in a bad position for a longer period. Sometimes carrying heavy school bags can give excess pressure to neck muscles and cause strain and pains in the neck. Small or bigger injuries can hurt the neck. This can easily happen in contact sports, in other physical activities or accidents. It is advisable to see a doctor after more severe injuries. If there is neck pain and stiff neck with fever, the possibility of meningitis should be kept in mind. In these cases it can be checked if the child can bend head forwards and touch the chest with his chin. If not, doctor should be consulted. Also rheumatoid arthritis may give symptoms of neck pain and fever, In this case there may also be swelling of the joints and weakness. Whiplash and immediate soreness following for instance a car accident. Pain that radiates toward the hand. Paralysis or weakness of a hand. Prolonged neck pain that is not alleviated with home remedies. MedlinePlus pages on neck pain. Mayoclinic.com pages about neck pain. Necksurgery.com article on neck anatomy. Familydoctor.org neck pain differentiation chart. Emedicine on cervical myofascial pain. Necksolutions.com treatment neck pain at home. webMD.com about neck pain and injuries. Ezinearticles.com about neck pain and posture. The North American Spine Society on herniated disc. webMD.com about cervical disc disease home treatment. MDGuidelines on cervical disc disorder with myelopathy. The North American Spine Society on cervical stenosis. Healthline pages on torticollis at birth. MedicineNet on thoracic outlet syndrome. Wikipedia on thoracic outlet syndrome. Which sleep position Is best. Fill out Neck Pain Symptoms/Complaints Form! I just wanted to ask if you ever have any issues with hackers? So far so good. Made fresh back-up copies. Thanks for reminding. Nice blog by the way. Maybe I should consider golfing. just sum it up what I submitted and say, I'm seriously enjoying your blog. I am also an aspiring writer but I am still new to the whole thing. Do you have any tips and hints for newbie blog writers? I'd definitely appreciate it.